The DC Cinematic Universe brought some of the most iconic names in comics to the big screen. DC is responsible for many of the most common superheroes we know and love today, including Superman and Batman. 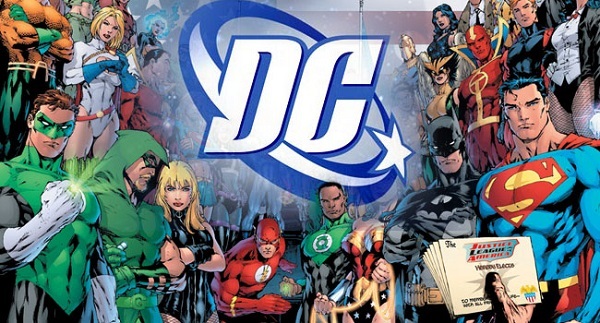 DC Comics was founded in 1934, around the same time its rival, Marvel was also getting started. In the following 80 years combined, these two companies would bring us nearly all of the famous superheroes that we are familiar with today. The DC Cinematic Universe is responsible for bringing both live action, as well as animated movies to the box office. Since the first movie in 1951, there have been dozens of different big screen adaptions, including a lengthy future release schedule. The complete list of DC Comic movies starts with Superman all the way back in 1951. Since then there have been two dozen live action flicks, with almost a dozen more slated through 2020. In addition to the live actions, there have also been over two dozen animated movies as well, with plans for an additional three in 2015. Between the two, DC has released over 50 movies and also has many made for TV films, short films, and a few other miscellaneous types, bringing the total nearly 100! Since its inception in the early 30s, DC comics has dominated the comic book scene. In fact, together with Marvel they gained 80% of the market share in their respective niches. Together, they created all of the major superheroes that the general public is now familiar with. Despite their competition, both companies have remained major players in the industry, continually creating new and exciting content for their audiences. The last decade has been a very active time for the DC cinematic universe. In the last decade there have been ten movie releases, which is nearly as many as they released in the 40 years prior. This accelerated release schedule is probably in part because of their rival’s continued success with their movies. We can expect this release schedule to only get faster in the future as well. DC recently announced another line of movies slated for the next six years including “Batman vs Superman”, “Cyborg”, and “Green Lattern”. This brings the total of future releases over the next six years to ten, which is on par with their faster release schedule. DC’s most notable projects this year have been the wildly popular Lego movies which came out in both 2013 and 2014. In the movies, Batman and Robin take the form of Legos, while teaming up to fight crime inside of Gotham city. All of the familiar characters from the Batman series are featured in the movies, including Robin, Joker, and members of the Justice League. The budget for the most recent flick was 48 million, and in the end it pulled in 470 million dollars worldwide. Considering the huge success of the last two Lego movies, we will likely see many more spinoffs in the future. DC Comics has been producing American classics for over a half century. With legendary characters like Batman and Superman, this iconic company is going to be producing amazing movies for many more years. With their aggressive plans for the future, we’re all in for a wild ride as more of our favorite superheroes come to life. As time goes on, I’ll try and keep this list complete and up to date as much as I can.